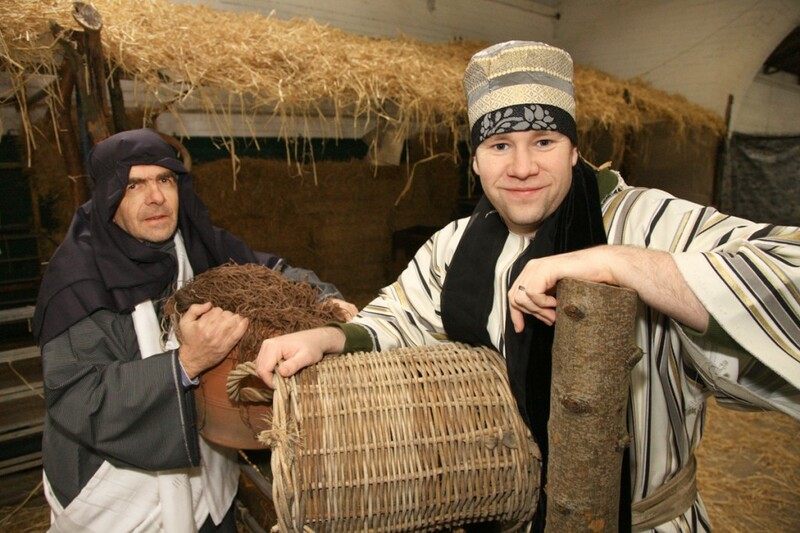 ChristChurch Belfast, who are based at the King’s Hall complex on the Upper Lisburn Road, are holding a special ‘Bethlehem Village Experience’ event from tomorrow (Thursday) over the weekend at the location. Converting one of the outdoor sheds there into a faithful recreation of the area of Jesus’ birth, the aim is to turn back the clock and give locals a chance to experience what happened at the nativity, complete with bazaar owners, innkeepers and even the villain of the piece, King Herod himself. Greg Neville from Christchurch said the event was a response to the success of a similar one held at the King’s Hall last year. “Last year was the first time we held it but there was terrible weather at the time and we were worried no-one would come the first night it was on because it was so cold and there was snow everywhere. But we prayed about it and hoped for the best. “We were a breath away from cancelling it but decided to go ahead and managed to get about 300 people in that night. By the end of the weekend we had seen 1,400 people come through the doors. Greg said those who take the tour would experience Bethlehem in an authentic way, similar to how things would have been around the birth of Jesus. “The first thing you do is go through a ‘time machine’ with the idea being you have landed back in time, so a guide meets you and walks you through the village. You go to the bazaar and meet a typical middle-eastern trader who is trying to get your business but is also telling you the local gossip about what’s been happening with the wise men and the star. “You then go to the inn and meet the barman, who tells you about the Romans occupying the country and how they’re affecting his business. You will also see a shepherd’s rest where you can meet the witnesses to the events, plus the temple where you see Herod, before coming out into the town centre where we have crafts and treats for children. Greg, who is a youth worker at ChristChurch, said all those playing the characters were volunteers from the church who were giving up their free time for free. “There’s no financial motivation to doing this but we don’t see that as a big thing, we’re just quietly doing it. People are putting a huge amount in and some are playing several characters. I’m playing the innkeeper for a few of the sessions and then the bazaar owner for another few. “I’ve been trying out an Arabic accent, although I may chicken out and just do it in a broad Belfast one like I did last year,” he laughed. He said he hoped for several things out of the whole Bethlehem Village Experience. “Firstly we want to get people to stop and think of the real meaning of Christmas – once you take away the presents and all the consumerism, what the point of it all is. We want to bring people back. The Bethlehem Village Experience is open on Thursday, December 15 and Friday, December 16 between 7pm-9pm, and Saturday, December 17 between noon and 6.30pm. Free tours leave every five minutes and will last up to an hour.